Frank Buckles misrepresented his age to recruiters in 1917 because the 16-year-old yearned for the adventure of warfare. His service in “the war to end all wars” left him with a fresh understanding of the horror. News that Buckles passed away Sunday at 110 years old makes it a fitting time to reflect on what remains in our collective conscience. 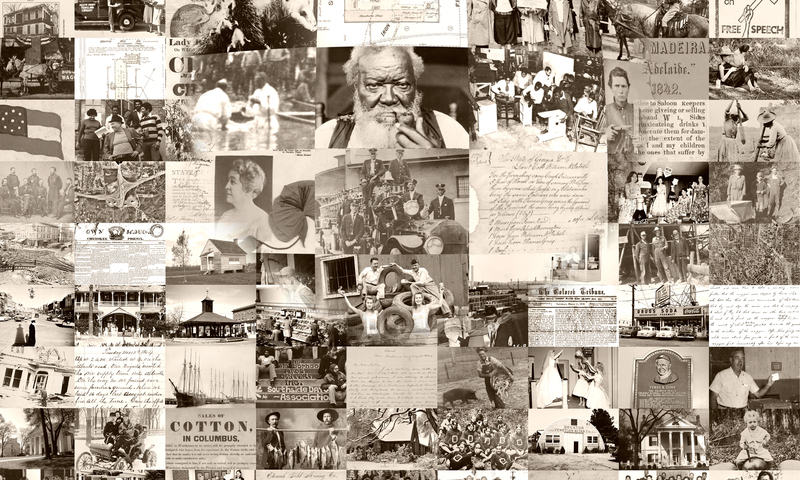 The Vanishing Georgia Collection contains a number of photos, mostly depicting life around the state. 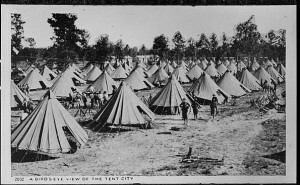 Here is a “bird’s eye view” of a tent city, thought to be Camp Hancock near Augusta. 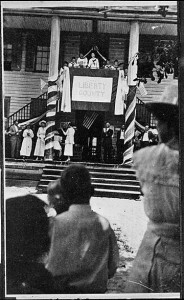 In Liberty County members of the class of 1918 at State Normal School unveiling the WWI service flag that the students made and presented on the steps of the county Courthouse. 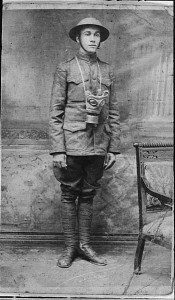 In France, where Frank Buckles served, Georgia boy Tola Harris dons a uniform complete with a chilling gas mask around his neck. 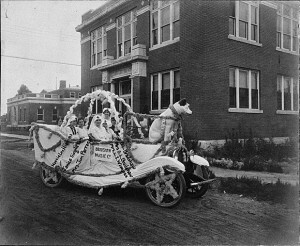 Down in Fitzgerald, WWI Red Cross nurses are seen on a float in front of the Carnegie Library on S. Lee Street, circa 1918. The Jewish celebration of Hanukkah, the Festival of Lights, begins at sundown. Meaning “dedication” in Hebrew, the observance celebrates the miracle Jews believe occurred in the Holy Temple when their lamp oil, which they thought would last only one day, provided them with eight days of light. The history, struggle and culture of Jews living in Georgia is represented in the DLG. 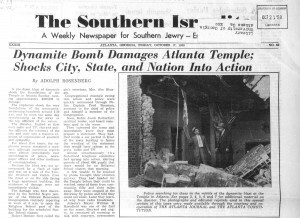 The most notable resource is the Southern Israelite: established in 1925 as a temple bulletin it also covered news about Jewish people from around the nation and the world. In 1934, the paper began weekly publication. One of the most significant stories it would report on was the Atlanta Temple bombing in 1958 (left). The publication continues today as the Atlanta Jewish Times. 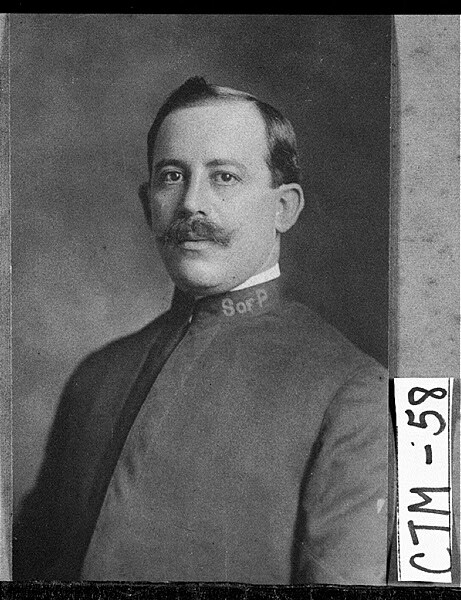 The Vanishing Georgia collection documents Jewish citizenry, many of whom located in small towns to operate mercantile businesses and made contributions through civic involvement, including Charles Garfunkel, who was the first Jewish police chief in Savannah (right). 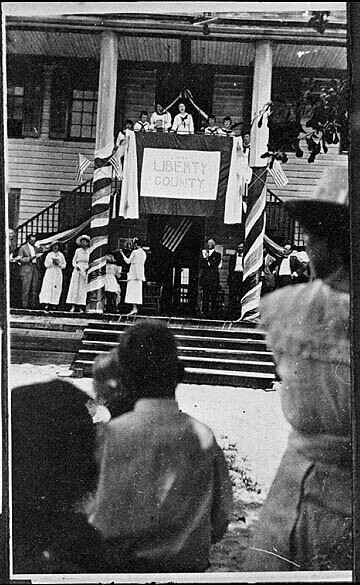 Also documented in Vanishing Georgia is the aftermath of the Leo Frank episode, including a 1915 photograph of the tadalafil governor hung in effigy after commuting Frank’s death sentence. Frank’s appeal for clemency is chronicled in archival records from the Secretary of State’s office. 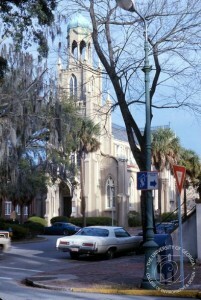 Georgia’ s temples are represented in the John Linley Collection of historic architecture, including the Temple Mickve Israel (left) in Savannah, home to the third oldest Jewish congregation in the United States, and the oldest in the South.